Fibers of Kalamazoo supplies janitorial chemicals to keep your facility clean. From window and toilet bowl cleaners to hand wash and scrubbing agents, we’ve got you covered! 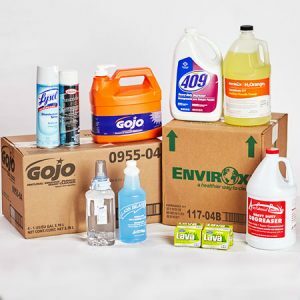 Our chemical products also include degreasers, disinfectants, laundry soap, aerosols, and more. 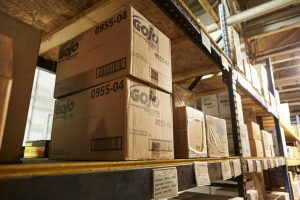 Maintaining a clean and presentable facility is easier with vendor-managed inventory and chemicals from Fibers of Kalamazoo. Allow us to manage your on-site inventory to ensure that you have all the cleaning chemicals you need when you need them. You can count on us to supply more than just chemicals. We also carry can liners, paper products, and a wide range of other janitorial products! Keep your staff safe while handling chemicals with gloves and other safety products from Fibers. Fill out the form below or contact us today for more information. Our knowledgeable sales staff is eager to find the best chemicals and janitorial products for your organization!